Generally, herbs are great for the body and overall health. This is primarily because many of them contain antioxidant properties. They also have remarkable anti-inflammatory functions, such as hemp. And since hemp is an effective anti-inflammatory, it makes getting a high-quality hemp oil especially important. But since several chronic illnesses are caused by inflammation of one or more systems of the body, it is important to learn which food lower or treat inflammation. Decreasing the body’s inflammation is vital so that the body continues to function normally. It is basically crucial for an increased immune system, mental lucidity, and stable energy levels. When inflammation or the pain caused by it obstructs the body from functioning efficiently, you become more vulnerable to illnesses. What’s inflammation in the first place? It is a normal process of the body, which takes place when the white blood cells of the body shield it from viruses and bacteria. But when the inflammation becomes uncontrollable, it becomes detrimental. One of the primary causes why this happens is due to people’s poor dietary choices. When the inflammation progresses to something more serious, it becomes a huge health concern that needs to be addressed as soon as possible. 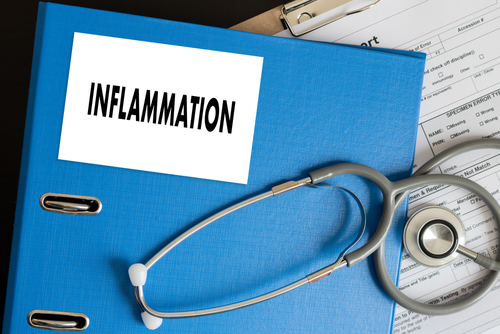 Chronic inflammation is a highly precarious disease since it can lead to many other severe medical conditions, such as diabetes, heart disease, obesity, and cancer. Intake of numerous types of herbs can help lessen or treat inflammation since they’re more potent than other foods. Thus, adding the right herbs to your meals can make your foods even healthier. Besides, these herbs make your meals even tastier with their distinct flavors. So, here are 8 herbs effective for curing inflammation. This is one of those herbs with amazing health benefits. It is also widely known for its ability to decrease the effects of inflammation in the body. Sage is very beneficial due to the fact that it has anti-inflammatory molecules. 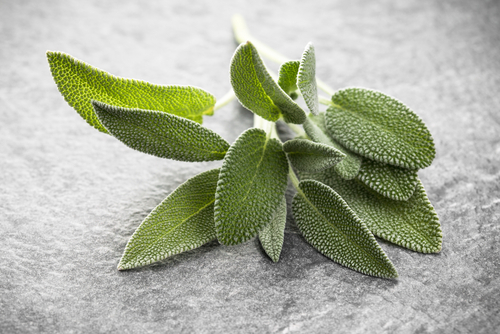 These molecules also add to sage’s unique scent and flavor. In multiple studies, sage has been substantiated to shield the body from neurological conditions mainly caused by inflammation. Aside from this, sage has also been demonstrated to be effective in enhancing focus and memory and being in anti-oxidants, it has positive effects that can fight off cancer. Rosemary adds flavor to a lot of dishes. It doesn’t just make your dish tastier; it also contains high levels of antioxidant and anti-inflammatory elements. It pretty much works like sage as it boosts the activity of an essential enzyme in the body – the superoxide dismutase. This enzyme gets rid of superoxide, a strong free radical associated with chronic inflammation. The effectiveness of the herb is greater when cooked. Even when not cooked, rosemary is good for the health due to the presence of flavonoids. Physicians during the ancient times would recommend people struggling with inflammation to drink more tea, especially when the inflammation was situated in the mouth. One well-known type of tea is chamomile. The oils extracted from chamomile flowers have components that can help decrease inflammation. The oil from chamomile also contains anti-inflammatory oxides. Basil is also recognized for its capacity to alleviate digestive issues. It strongly relieves pain caused by nausea, gas, and stomach cramps. It even has an essential element called eugenol that can lessen inflammation as well. It does so by stopping the enzyme that causes inflammation. This herb is not something you’d often hear about. It’s uncommon but healthy and beneficial nevertheless. It’s effectual for alleviating pain and decreasing inflammation in the body. Just like other herbs, boswellia doesn’t have any negative adverse reactions since it’s a natural solution. It’s able to decrease inflammation by regulating the production of the 5-LOX enzyme, which is pro-inflammatory. When generated in abundant quantity, it brings out dangerous manifestations and illnesses. Since this herb effectually lowers the amount of this enzyme, it’s advantageous when it comes to the relief of inflammation and the pain that it entails. Native in India, neem is efficient in soothing inflammatory conditions on the skin. It’s highly efficient in relieving joint and muscle pain. Components distilled from the seeds and leaves of this plant are also known to have health benefits. This is one of the spices that have amazing health benefits. It’s even becoming more prominent as a staple in many dishes due to its anti-inflammatory features. Turmeric is the one that provides curry dishes their yellow color and unique flavor. It is also used to give butter and cheese more color. Traditional healers are also fond of using turmeric as part of their medical remedies. In fact, this spice has been used in the traditional medicine for more than four millennia. It’s effective in alleviating inflammation, combating infections, and addressing digestive issues. 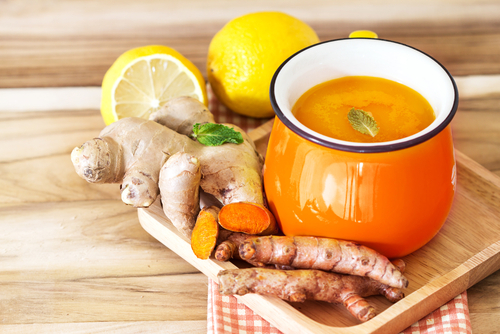 Ginger is another root that’s been a staple of traditional medicine for many years. It’s widely recognized for its anti-inflammatory properties and other health features. Numerous studies have demonstrated that ginger lessens the pain linked to inflammation and other related illnesses. Aside from this, ginger also relieves the feelings of nausea and stomach discomfort. Traditional healers make use of it to cure headaches and infections. Those who struggle with chronic inflammation will find ginger very useful because it obstructs passageways of inflammation and increases anti-oxidants in the body.